WILLITS, 3/18/19 -- A year ago, next week, the nation was transfixed on Mendocino County and the tragedy of the Hart family. 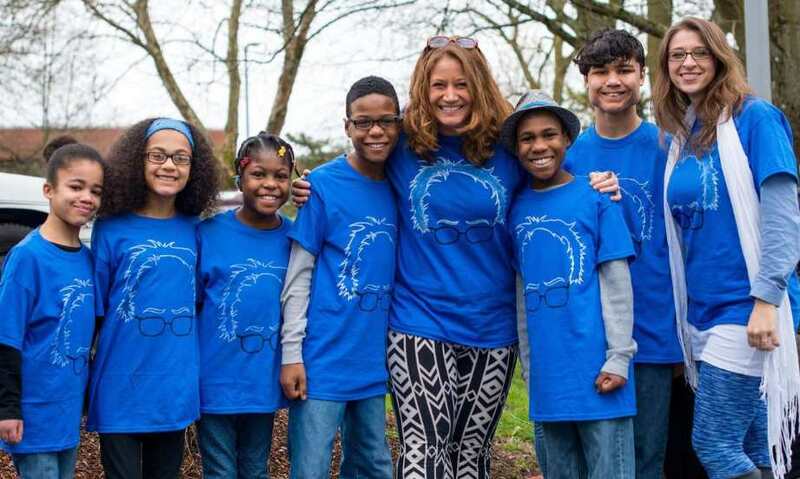 The Harts, a married couple and their six adopted children, plummeted into the Pacific, in what appeared to be an intentional suicide-murder, when Jennifer Hart first parked on a turn out north of Westport and then drove the family van off a cliff. Since then remains of all but one of the Hart family have been found and positively identified -- no remains of Devonte Hart were ever found. Now Sheriff and Coroner Tom Allman will be holding an inquest in Willits, on April 3 & 4, to present the findings of the year long investigation to a jury. An inquest is not a trial, though there is a jury. In circumstances like this one where the primary suspect, Jennifer Hart, was also killed it is common to hold an inquest rather than a trial. The MCSO has stated that they will be live streaming the inquest from their Facebook page. On 03-26-2018 at approximately 4:15 PM the Mendocino County Sheriff's Office responded to the area of Juan Creek and North Highway 1 (just north of the Town of Westport in Mendocino County) to the report of a traffic collision resulting in five fatalities. These persons were later identified as all belonging to the Hart Family, Jennifer Hart (38 years-old), Sarah Hart (38 years-old), Markis Hart (19 years-old), Hannah Hart (16 years-old), Jeremiah Hart (14 years-old), Abigail Hart (14 years-old) and Ciera Hart (12 years-old). The remains of Devonte Hart (15 years-old) have not been located to date. An extensive investigation was initiated into the circumstances surrounding the collision/deaths and that investigation has concluded. The investigation primarily involved the combined efforts of the Clark County Washington Sheriff's Office, California Highway Patrol and the Mendocino County Sheriff's Office. Sheriff-Coroner Thomas Allman will be holding a Coroner's Inquest into the deaths of the Hart Family. The purpose of the Coroner's Inquest is to present the facts of the incident to a jury for their deliberation and finding on the Manner of Death for each family member. The proceedings will begin on April 3, 2019 at 9:00 AM at the Willits Justice Center located at 125 E Commercial Street in Willits, California. It is anticipated that the Coroner's Inquest will take two days to complete. The Coroner's Inquest is open to the public and members of the media are also invited to attend. Based upon the limited amount of seating available, 10 seats will be reserved for media members and the remaining seating will be on a first come first serve selection process. This selection process will begin at 8:00 AM on both days of the Coroner's Inquest. Media members wishing to occupy the reserved seating need to email your request to Captain Gregory L. Van Patten ([email protected]) as those seats will be selected by random draw on 03-28-2019. Those media members selected by random draw will have the reserved seating for both days of the Coroner's Inquest. Those being selected by random draw will be required to show a form of press credential upon Sheriff's Office request. Media members not selected by random draw can still attempt to secure a seat each day with the first come first serve selection process afforded to the general public. Those selected to attend the Coroner's Inquest will be required to submit to a security screening and no bags (handbag, backpack, briefcase, etc.) will be allowed into the Coroner's Inquest hearing room. 5. Any parties or witnesses involved in the hearing may use their electronic devices to perform Coroner's Inquest related functions while in the Willits Justice Center. 6. Violations of the listed limitations will result in an immediate expulsion from the hearing. The Inquest will be Live Streamed and the viewing link will be posted on the Mendocino County Sheriff's Office Facebook page (https://www.facebook.com/MendocinoSheriff). Those interested in watching the live stream should "Like Us on Facebook" prior to the Coroner's Inquest.